Comfort and style define the Bonaventure experience. Designed for ultimate rest and relaxation, our spacious guest rooms and suites are attractively decorated in soft neutral shades and rich wood furnishings. Luxury linens, flat-screen televisions and marble bathrooms with separate walk-in showers, bathtubs and bidets impart an atmosphere of residential luxury. Designed with the modern traveler in mind, all have iHome stereo systems with iPod docking stations, working desks, in-room safes and complimentary WiFi. Measuring 400-square feet, our Deluxe King guest room is exquisitely furnished with a king bed with plush down comforter, spacious working desk with two chairs, flat-screen television and iHome stereo with iPod docking station. A large marble bathroom features a walk-in shower, bathtub and bidet, as well as premium bath amenities. Measuring 400-square feet, our Deluxe King guest room features the latest in comfort and technology including down pillows, soft sheeting, cozy arm chair, work desk with two chairs, deluxe marble bath with rolling shower, shower bench, shower bar and iHome iPod docking station with AM-FM clock radio, and flat screen television. Our stylish 400-square-foot Deluxe Double guest room is attractively furnished with two double beds, a working desk with two chairs, iHome stereo with iPod docking station and flat-screen television. A marble bathroom features a walk-in shower, tub, bidet and highest quality bath amenities. 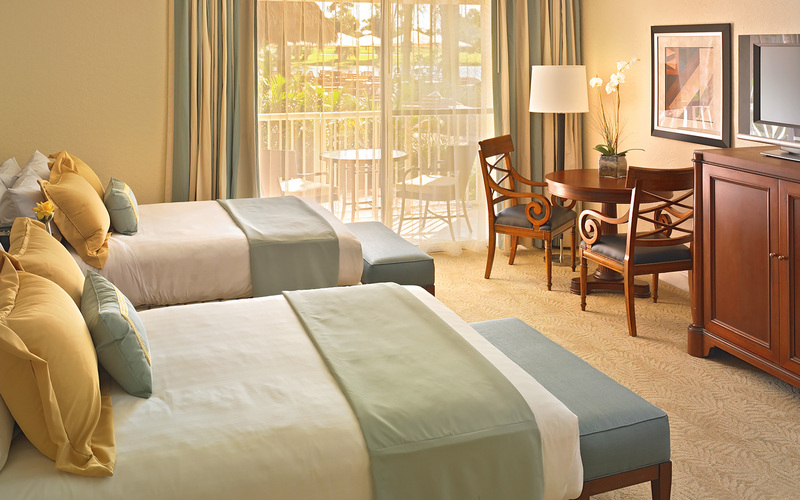 Featuring a balcony with panoramic resort views, our spacious 500-square-foot Executive Double is furnished with two double beds with plush pillows and luxurious linens, a working desk with two chairs, iHome stereo with iPod docking station and flat-screen television. A wet bar features a mini-refrigerator and microwave. The marble bath has a walk-in shower and deluxe bath amenities. 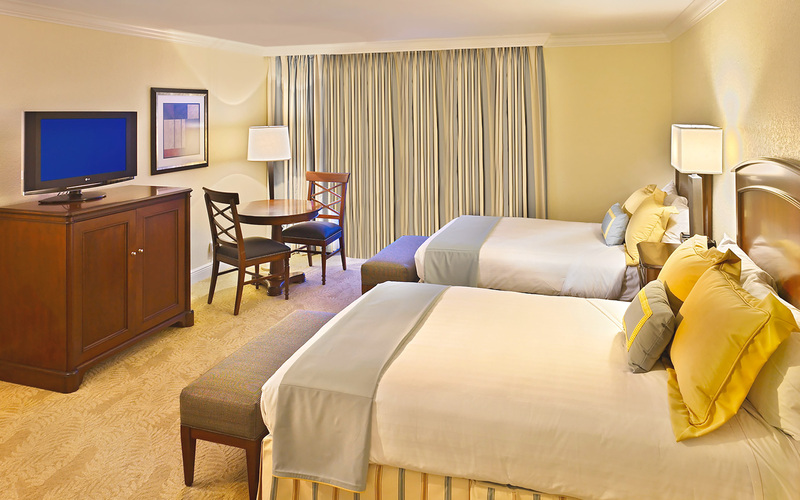 Ideal for families, our 900-square-foot One Bedroom Suites are spacious and stylish. Featuring separate rooms for sleeping and socializing, these accommodations have a bedroom with king bed, furnished balcony, separate living area with a sofa, dining table for four, oversized work desk with enhanced lighting, flat-screen television and wet bar area with microwave and mini-fridge. A luxurious bathroom is equipped with a walk-in shower, bathtub, bidet and deluxe bath amenities. 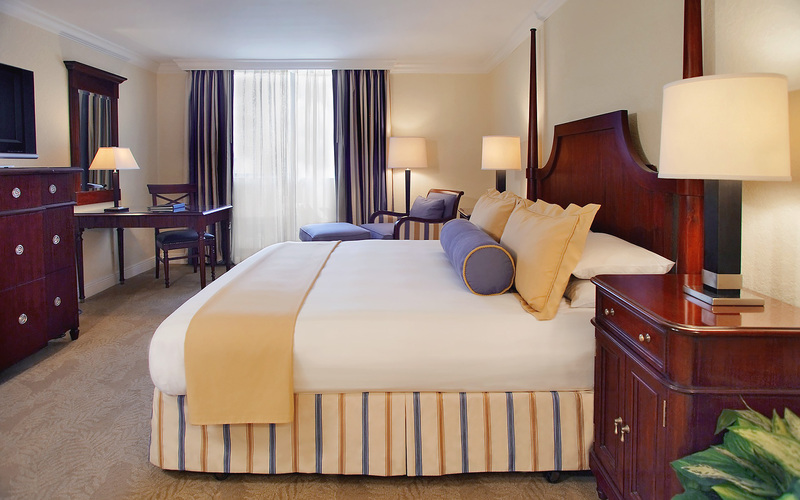 Ideal for families, our 900-square-foot One Bedroom Suites are spacious and stylish. Featuring separate rooms for sleeping and socializing, one Bedroom suite features the latest in comfort and technology including private master bedroom with down pillows, soft sheeting, cozy arm chair, work desk with two chairs, deluxe marble bath with rolling shower, shower bench, shower bar and iHome iPod docking station with AM-FM clock radio, includes microwave and mini fridge and flat-screen television.